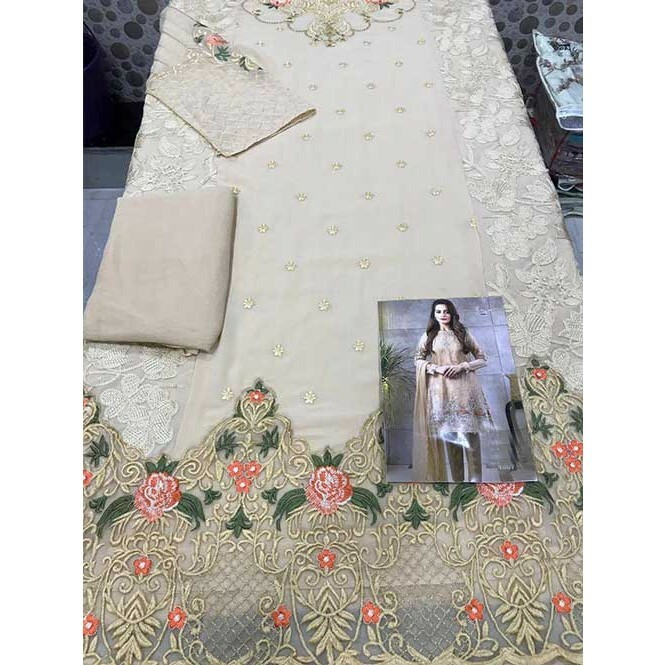 Flaunt a new ethnic look wearing this Cream colored gorgeous Pakistani Georgette Dress Material. Featuring a beautiful mix of prints, this dress material is a must-have in your ethnic wear collection. 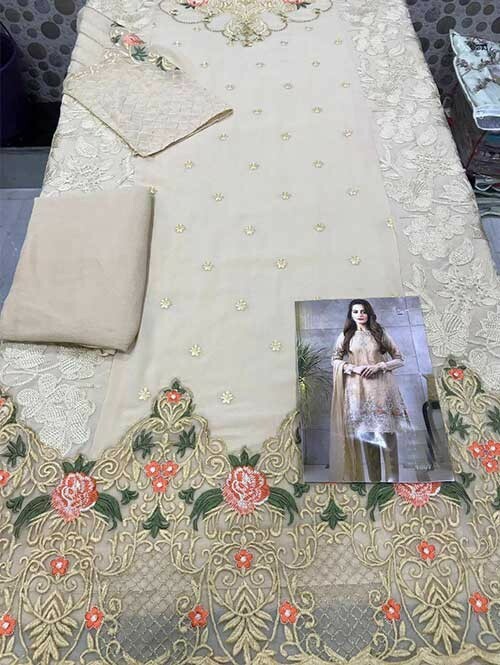 The Dress Material has been designed in a special way with beautiful intricate detailing all over. Crafted using premium quality, the Dress Material is light in weight and easy to drape.